She received an additional prize, the Youth Science and Technology Innovation special award, sponsored by the Beijing district government. Mgxaji’s research centres around consumers not understanding the information on food labels. Liyema Tyutu (15) from the Eastern Cape won a silver medal in the environmental science and engineering category in the Beijing competition. The device has a strong ability to sense fading light, and switches on automatically when night falls and switches off at sunrise. “I’m so proud of myself that I was awarded a silver medal, because I managed to come home with something out of all the projects that were there and putting South Africa on the map,” Tyutu said. 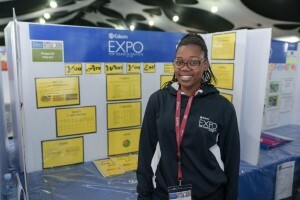 “This is a stark reminder to all young learners that if you want to be successful in life, pursue your dreams and take advantage of opportunities like Eskom Expo,” Chetty said.